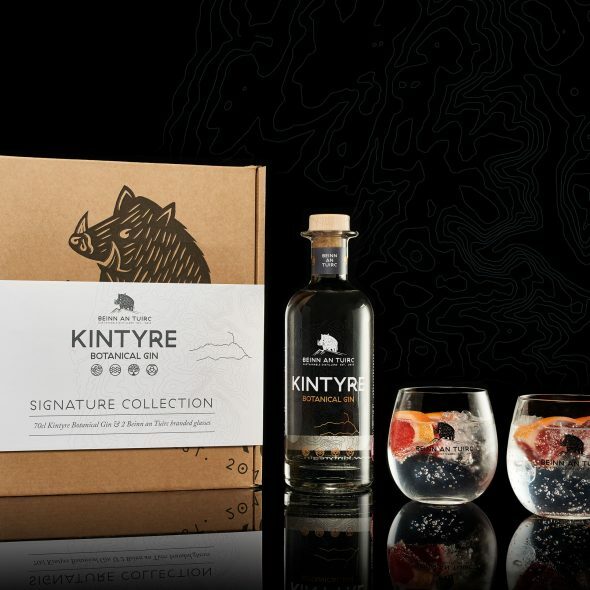 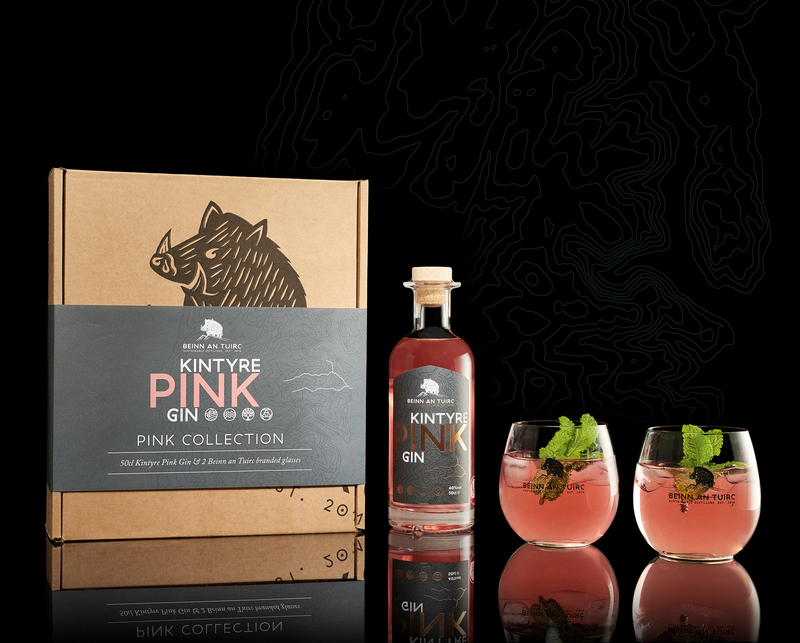 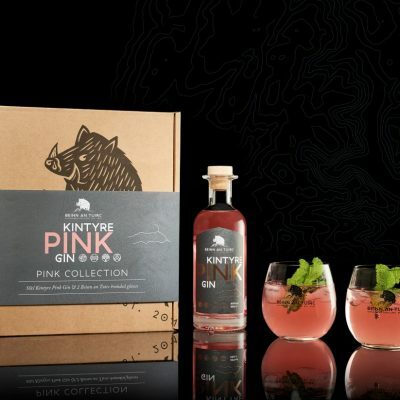 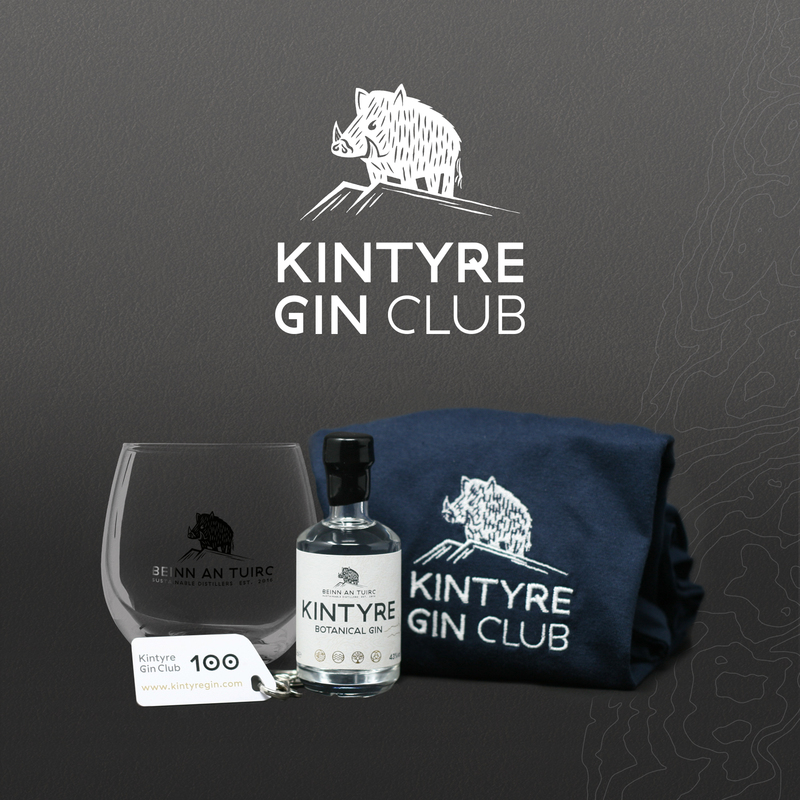 This beautifully presented, fully-recyclable, gift box contains a 70cl bottle of Kintyre Botanical Gin and two Beinn an Tuirc Branded glasses. 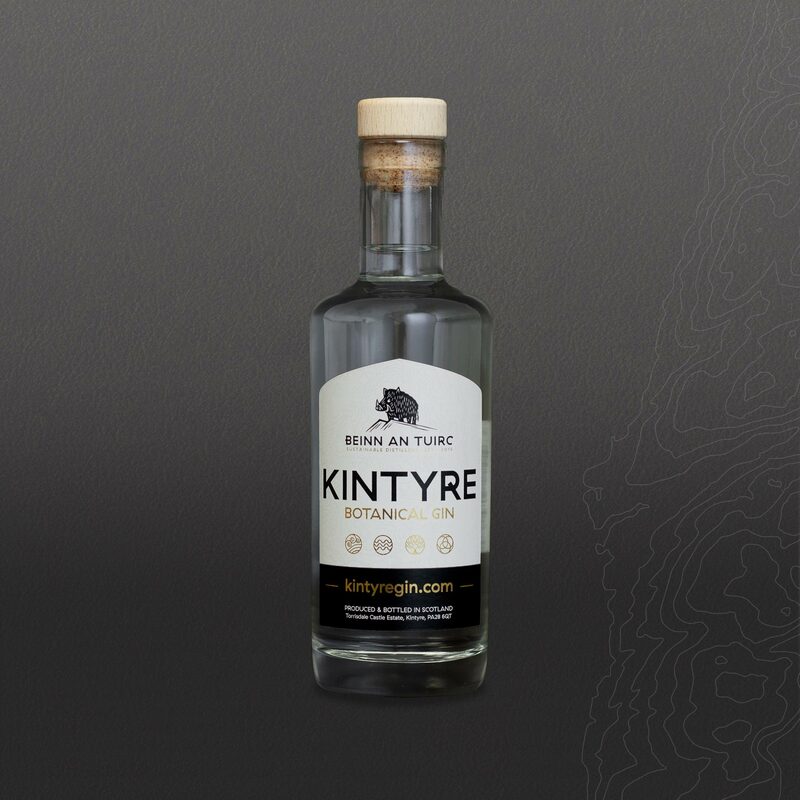 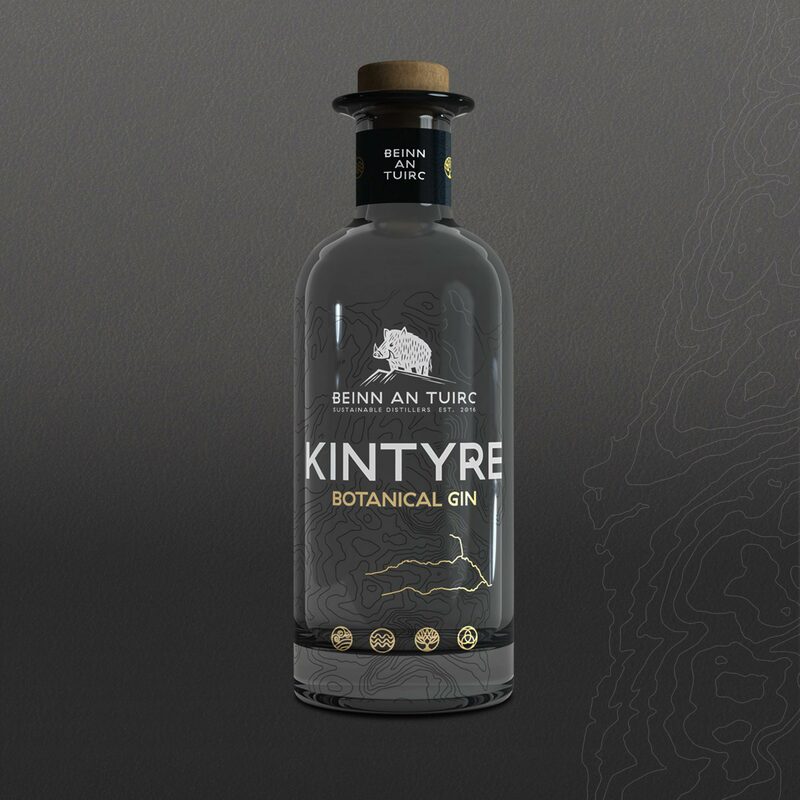 Our branded tumblers are the perfect size in which to enjoy your Kintyre Gin, neat on the rocks or with a premium tonic and a sprig of basil or fresh mint. 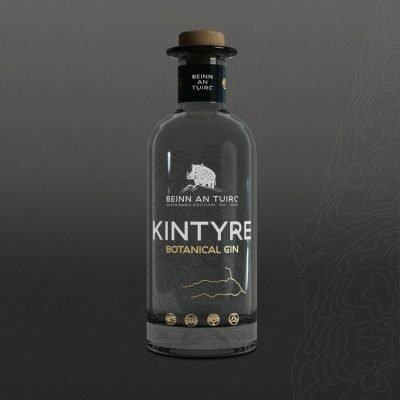 We recommend Fever Tree Mediterranean tonic. 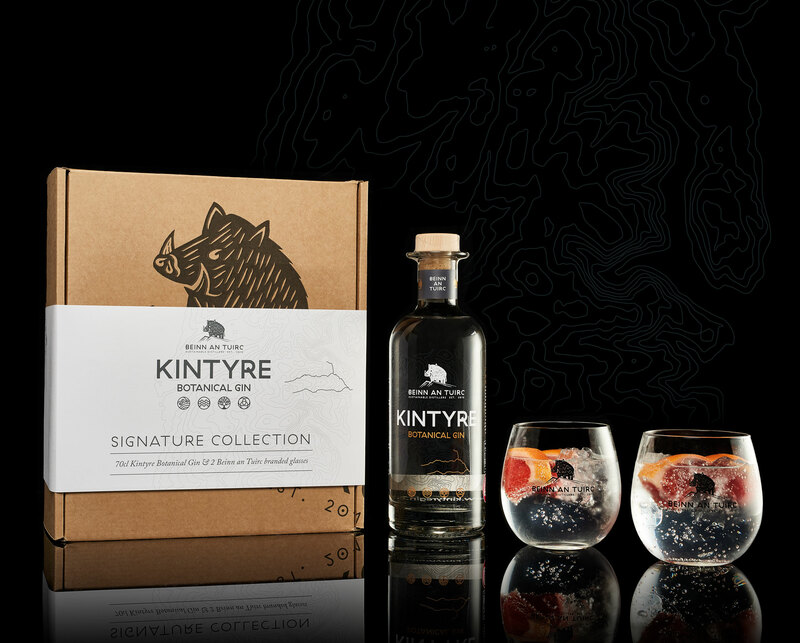 The glasses are sturdy and dishwasher safe.